We have relocated to Reykjavik and the camp in the East of Iceland has been dissolved. We have accomplished what we set out to do in the East and are extending our campaign to the capital in spite of heavy state repression, police surveillance and harassment. Friday the 12th of August at 19:00 at Snarrót, Laugarvegur 21. Presentation on the protest camp followed by fundraising dinner. Saturday the 13th August at 13:00 Picnic at Parliament Square, bring blankets, food, and any musical instruments. 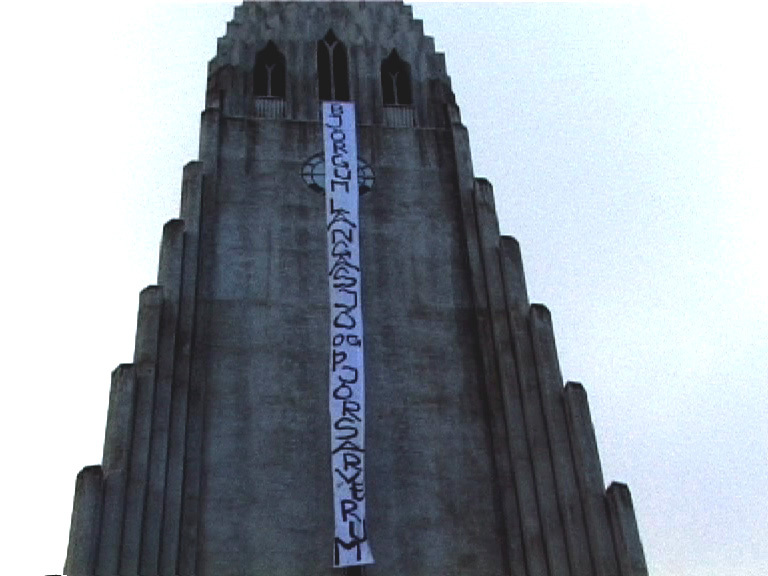 Saturday the 20th of August at 13:00, starting from Hallgrímskirkja. Street carnival of dissent. Contact us if you want to take part via email: savingiceland at riseup.net or phone 5518927 or 6928884.